Warmer weather will be here before you know it. 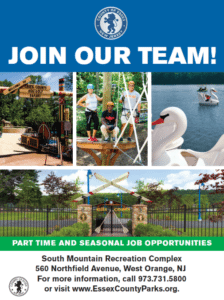 Join our team for the summer season! 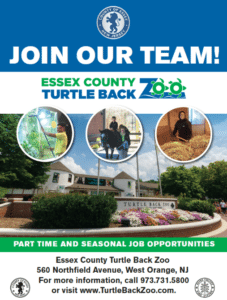 Essex County Turtle Back Zoo is hiring for our spring/summer/fall season. Come to the job fair to learn more and apply in person! All applicants must be 18 years of age or older and successfully pass a criminal background check. All applications are now submitted electronically. You must be interviewed to be given further information on how to apply. All applications are now submitted online. Call for additional information if you cannot apply in person the day of.